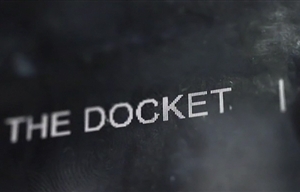 The Docket is a South African police procedural crime drama series created by Helen Smit and inspired by real cases which follows the personal and professional lives of the fictional Ravens, an elite crimefighting unit. The Ravens were formed to fight crime under the media spotlight. In front of the camera, they have to win back the trust of the South African public. Behind the camera, they have to win each other's trust. The Ravens are a specialized unit set up to investigate high-profile crimes in the public eye. The squad members have been chosen for their outstanding investigation skills, but their media relations are more challenging as colonel Marlon van Wyk is not the most diplomatic person. Enter Detective Ntsiki Motshe who has a talent for dealing with the media's many questions. Together they solve crimes and warm relations between the public and the police. Each episode is inspired by true criminal cases, mostly solved by the South African Police Services. Each case forms the structure on which each episode is based. Will the Ravens catch the perpetrators of crime without causing a PR nightmare? The Docket is produced by Clive Morris Productions with executive producers Lala Tuku, Clive Morris, Ntokozo Mbuli and Khayelihle Dominique Gumede, who is also the series director. The series producer is Helen Smit, who also created the series. The head writer is Sean Robert Daniels, who leads a team including Samantha Wocke, Nonzi Bogatsu, Lizane Jordaan, Hannah Hamilton, Byron Abrahams, Shannon Botha and Dillan Lawless. Original music is by Paul Vermaak.